As a National Government it contained members of the Conservative Party, Liberals, Liberal Nationals and National Labour, as well as a number of individuals who belonged to no political party. The Liberal Nationals had previously not held office in MacDonald's previous National Government, though two junior ministers appointed as Liberals had defected to them. Their relationship with the main Liberal Party had been unclear but following the election, the Liberal Nationals officially repudiated the official Liberal Party whip. During the course of the Ministry the ministers from the Liberal Party, led by Sir Herbert Samuel, resigned over the adoption of a protectionist policy caused by the government negotiating the Ottawa Accords in 1932. The other Liberal faction in the Ministry, the Liberal National Party, had accepted the Conservative policy of protectionism before the National government had been formed so its ministers continued in office. In June 1935, MacDonald resigned and was replaced as Prime Minister by Stanley Baldwin. September 1932 – Stanley Baldwin succeeds Philip Snowden as Lord Privy Seal, remaining also Lord President. John Gilmour succeeds Herbert Samuel as Home Secretary. Sir Godfrey Collins succeeds Sir Archibald Sinclair as Scottish Secretary. Walter Elliot succeeds Gilmour as Minister of Agriculture. ^ According to Eccleshall & Walker (2002:273) and Stanton (2000:26), Baldwin was the effective deputy prime minister in the Conservative-dominated Cabinet. He served as Lord President of the Council. 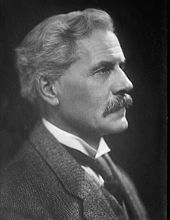 ^ "Resignation letter by Liberal ministers to Ramsay MacDonald" (Letter). Letter to Ramsay MacDonald. Samuel papers. 28 September 1932. SAM/A/89/84. Eccleshall; Walker, Robert, eds. (June 2002). Biographical Dictionary of British Prime Ministers. Routledge. ISBN 978-1-134-66231-9. Hattersley, Roy. Borrowed Time: The Story of Britain Between the Wars (2008) pp 143–72. Stanton, Philip (2000). Britain 1905–1951. Nelson Thornes. ISBN 978-0-7487-4517-3. Thorpe, Andrew. The British general election of 1931 (Oxford UP, 1991).